Recommended age For children aged 18 months +. Your kids will LOVE this little car, with its simple and elegant design, and your neighbors will also appreciate the silent driving of your pilot thanks to its solid and particularly silent rubber wheels ! 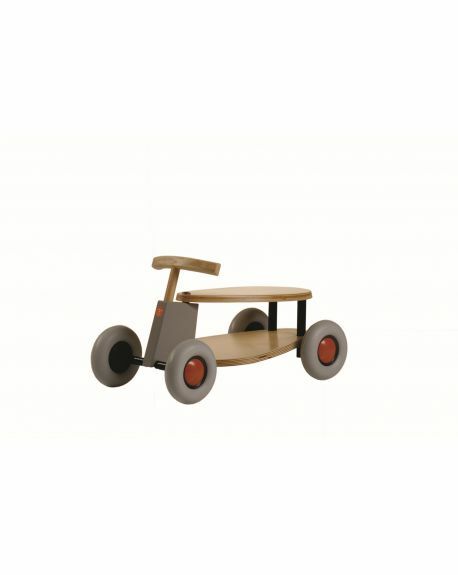 Made of solid molded ash plywood, with light gray rubber dirigible wheels.